I bet you didn't even know you needed one of these. Well, you do. This perfect little padded earbud pouch can be added to your keychain, in your gym bag, in your briefcase, wherever you KNOW your earbud cords will get tangled up. 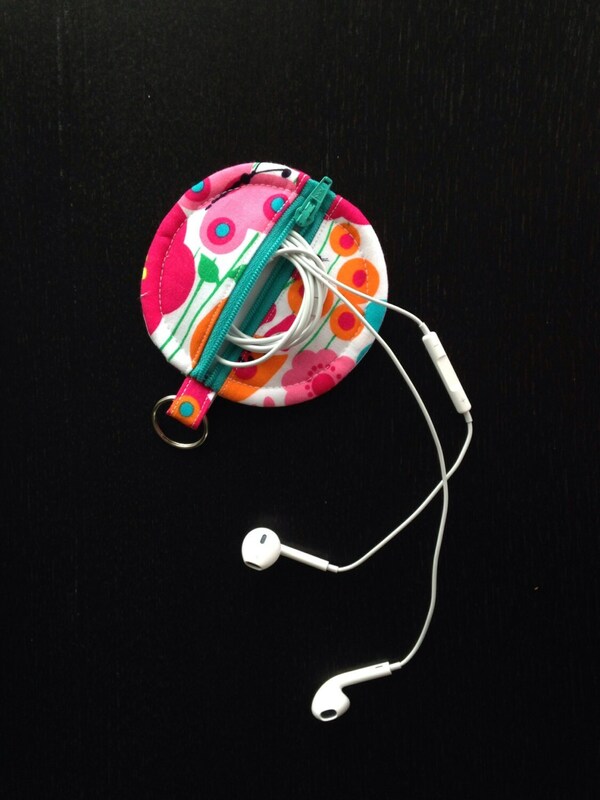 This little pouch will keep your earbuds safe...you'll be listening to your music faster because you won't be wasting time untangling it! Fabulous pattern by Erin Erickson- Dog Under My Desk!